Education: Masters in Education from California State University. Bachelors in Elementary Education from Concordia University, Seward, NE. Currently holds a Nebraska Teaching Certificate in Elementary K-8. Nominated and selected to participate in the LCMS School Leadership & Educational Development (SLED) program for the 2012-2013 school year. She has served as a Lutheran educator and education coordinator for the past 12 years teaching almost all grades Pre-8th. She has served in several Lutheran schools and congregations in California, Texas, and Nebraska. Has been at St. Paul Lutheran School since 2011. Education: Graduated from Wayne State College in 1991 with a Bachelor's Degree in Early Childhood Development. In May 2002, obtained initial teacher certification in Early Childhood Education Unified from University of Lincoln at Kearney. Currently working towards Master's in Special Education Mild to Moderate K-6. Nebraska Teaching Certificate in Early Childhood Education Pre-K to 3rd. At St. Paul Lutheran since 2012. Education: Graduated from Northeast Community College in 2012 with an Associate Degree in Early Childhood Education. Mrs. Howell has a true servant heart and has taken on the role of creating the mission project for this current school year. She is working with both local and global charities to not only teach our children to give, but also to appreciate the things they have. Mrs. Howell has worked at St. Paul Lutheran since the fall of 2015. 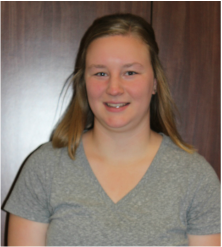 Education: Graduated from Concordia University, Seward, NE in May 2016 with a Bachelor’s Degree in Elementary Education with an endorsement in Special Education. Nebraska Teaching Certificate in Elementary Education, K-8, and Special Education, K-12. Has been at St. Paul Lutheran since fall of 2016. Education: Graduated 2016 with a Bachelor of Science. Previously she has worked for 4 years as an aide in Elementary Education. Mrs. Recker has worked at St. Paul Lutheran since the fall of 2017. Education: Associate of Arts degree in Education from Northeast Community College, Bachelor of Science degree in Elementary K-8 and Special Education K-12 from Wayne State College. She holds a Nebraska Teaching Certificate in Elementary K-8 and Special Education Mild to Moderate K-12. Has been teaching at St. Paul since January of 1999. Education: Graduated from University of Nebraska-Lincoln in December of 2013 with a Bachelor’s Degree in Birth to 3rd Grade. She has been teaching at St. Paul since fall of 2016. Education: Graduated from Northern State University in December 1999 with a Bachelor’s Degree in Elementary Education. 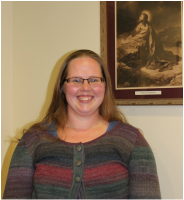 She completed her Early Childhood endorsement in May 2007 and her Lutheran colloquy in November 2011. Mrs.Henschen obtained her Nebraska teaching certificate in July 2018. She has been at St. Paul since fall of 2018. Education: Danielle graduated from Wayne State College in 2015 with a Bachelor of Science Degree in Elementary and Special Education. 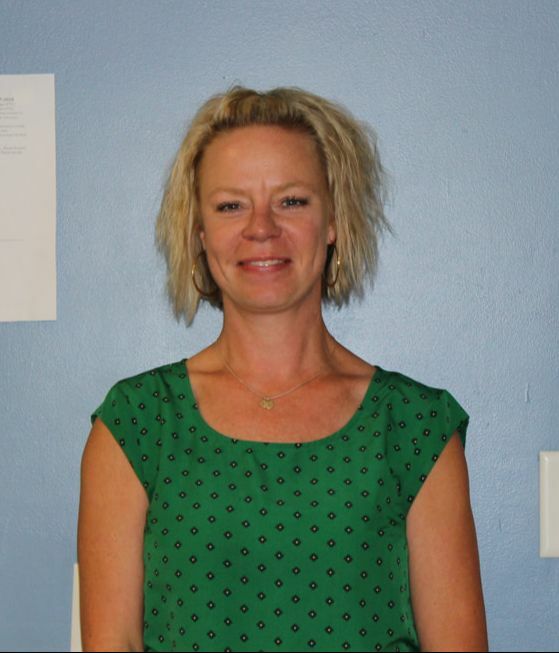 She holds a Nebraska Teaching Certificate in Elementary K-8 and Special Education K-12. She has been teaching at St. Paul since fall of 2016. Education: Graduated from Concordia University, Seward, NE with a Bachelor's Degree in Elementary/Early Childhood with a minor in English. Holds a Nebraska Teaching Certificate in Elementary K-8. Taught in Madison, NE for 10 years. Has been at St. Paul Lutheran since 1999. CLICK HERE FOR THE LEARNING NOOK BLOG. Education: Graduated from College of St. Mary, Omaha, NE in 1991 with a Bachelor's Degree in Early Childhood and Elementary Education. Completed Colloquy in 2003 from Concordia University, Seward, NE. She holds a Nebraska Teaching Certificate in Elementary and Early Childhood Education K-8.Taught at Zion Lutheran School, Bancroft, NE for 8 years. Has been teaching at St. Paul Lutheran since 2003. Education: Graduated from Wayne State College with a Bachelor of Arts in Education and Social Sciences, and a Coaching Endorsement in 1982. Has taught 7th-12th grades in the public school system for 32 years. Has taught at Bartlett-Wheeler Central, Shelton Public School, and most recently Scribner-Snyder Community Schools. He has been at St. Paul Lutheran School since the fall of 2016. Education: Graduated from Buena Vista University, 2002. She has studied abroad in both Japan and Germany. Mrs. Meiergerd has worked at St. Paul Lutheran since the fall of 2013. Education: Mrs. Ramirez has a passion for learning. She is a joyful and energetic teacher who brings her love of learning with her to every classroom. She is teaching Spanish to every student at St Paul Lutheran School, preschool through 8th grade. Her strength is finding new and interesting ways to teach conversational Spanish as well as new vocabulary. She has worked at St. Paul Lutheran since the fall of 2016.